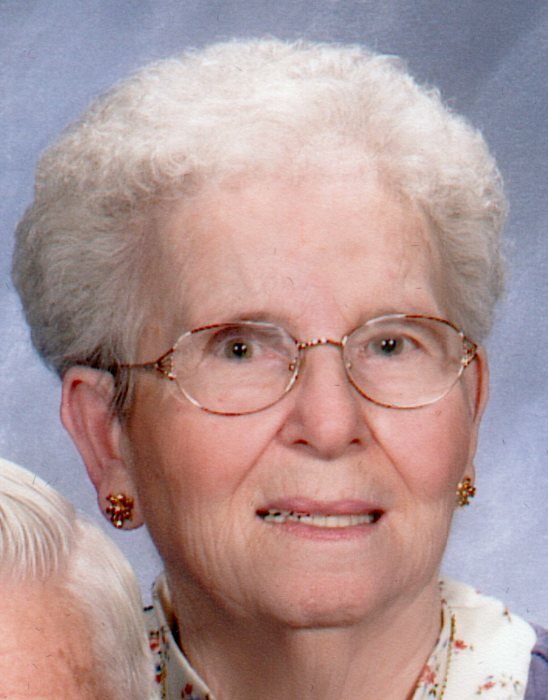 Obituary for Helen M. (Oberdorf) Highfield | Clawson Funeral & Cremation Center, Inc.
Clawson Funeral & Cremation Center, Inc.
Helen M. (Oberdorf) Highfield, 86, of Gilpin Twp., PA, passed away on Sunday, February 10, 2019 at Concordia Lutheran Ministries in Cabot. A daughter of the late Frank Oberdorf Sr. and Stefina (Michadick) Oberdorf, she was born October 20, 1932 in West Leechburg, PA.
Helen was a 1950 graduate of Leechburg Area High School and of the Free Methodist faith. Helen enjoyed playing bingo, reading and solving crossword puzzles. As an avid sports fan, she especially followed the Pittsburgh Pirates and Steelers. Helen loved spending time with her family, especially her grandchildren. Survivors include her husband of 67 years, Eugene Highfield; a son, Kenneth Highfield (Sue Bowser); two daughters, Jan Stephens (Scott) and Sue Ellen McIntire (Jack), all of Gilpin Twp. ; five grandchildren: Kendra Bailey (Erik), Ken Highfield Jr., Zack Highfield, Ainsley McIntire, Breanna Stephens; a great-granddaughter, Faren Bailey; a brother, Frank Oberdorf Jr. of West Leechburg; two sisters, Frances Klingensmith of Apollo and Patricia Daugherty of West Leechburg; and numerous nieces and nephews. In addition to her parents, she was preceded in death by an infant daughter, Mona Lynn Highfield; two brothers, George and William Oberdorf; and a sister, Loretta Hancock. Friends welcomed by her family on Wednesday, February 13, 2019 from 2-4 and 6-8 PM at Clawson Funeral & Cremation Center, 170 Main Street, Leechburg (724-842-1051). Funeral ceremonies will be held at 11 AM on Thursday, Feb. 14, at Forks Zion Evangelical Lutheran Church, 253 Forks Church Rd., Gilpin Twp., with the Rev. Forrest E. States officiating. Interment following at Forks Zion Evangelical Lutheran Church Cemetery, 253 Forks Church Rd., Gilpin Twp. Helen’s family would like to extend a special thank you to her Concordia family and staff.